Hi loves, today I have another review on one of the new L'Oreal Colour Riche Pocket Palette's. This is the second one I purchased and this one is in the shade Boudoir Charme. 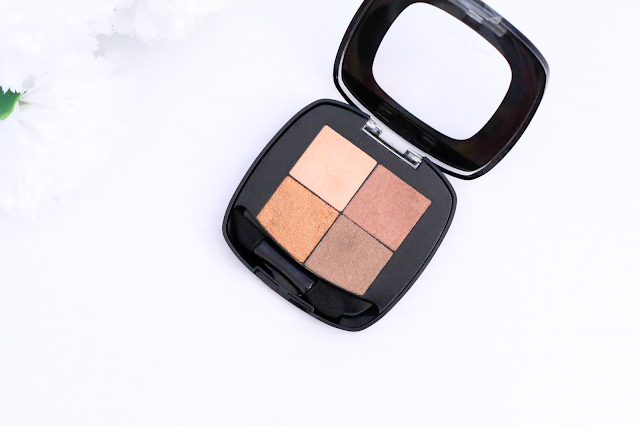 I wanted to get this one because it had beautiful warm shades, and I feel like warm eyeshadows have been such a huge trend lately, so I of course needed this one in my collection. If you read my review on the French Biscuit palette, you would know I was in love with the formula. And I love this palette as well. 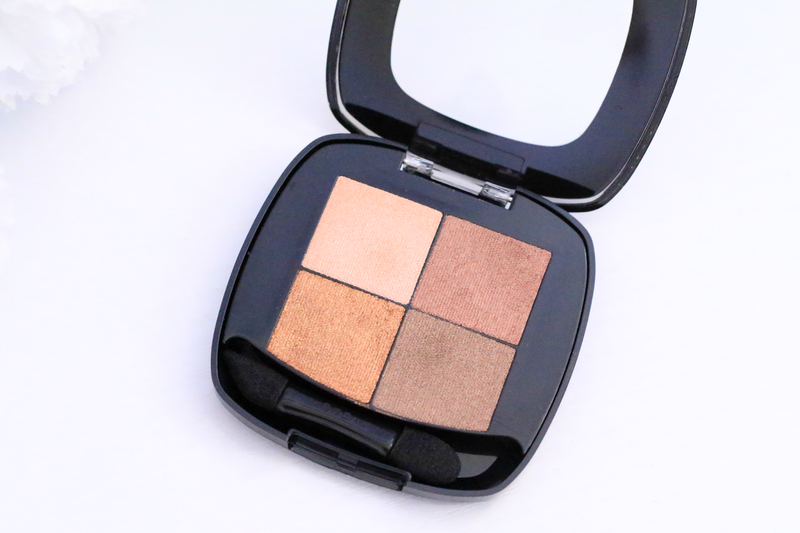 This palette comes with a beautiful cream shade, a beautiful shimmery warm brown, a shimmery gold and a shimmery dark brown. 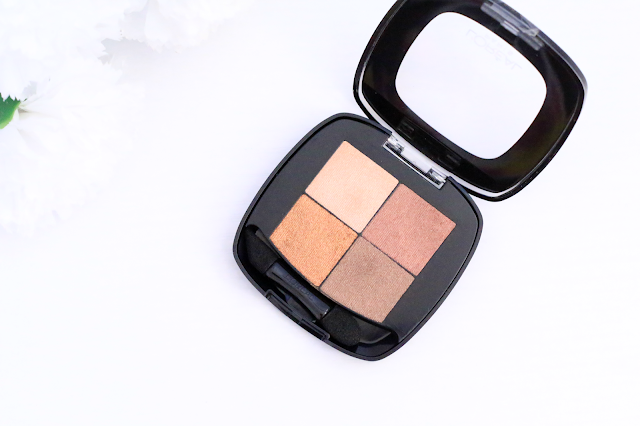 You can create the most beautiful neutral makeup look using this palette. The texture of these are exactly like the single eyeshadows that L'Oreal came out with not too long ago. 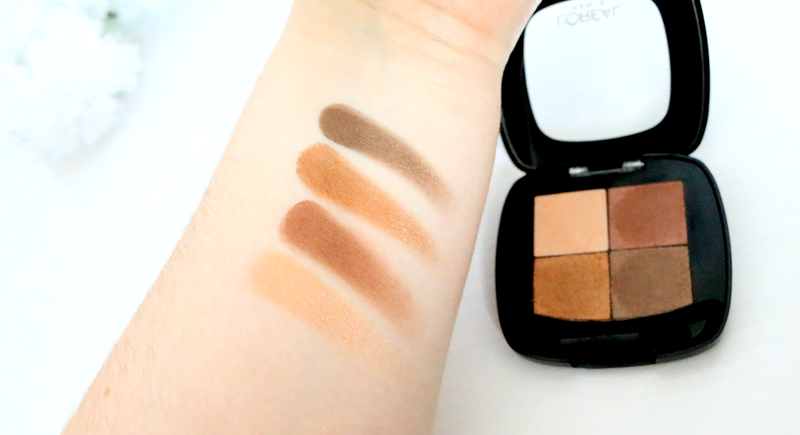 And I love those, so the fact that these palettes come with four shades, its so exciting. The texture is very soft and the colors are very pigmented. They all blend out really nice as well. I played around with this palette a little more, and I loving using a little fix + by MAC to make the shadows even more vibrant. I am so pleased with these palettes that I really need to go out and purchase more! I think they are a great staple to have in your drug store collection. They do retail for $9.99 and can be found at www.ulta.com. Also a lot of times Ulta has really good deals, so you would be able to get them for cheaper when they do their buy one get one 50% off.